Home Soccer Mbappé, from Madrid: "I'll finish the year here and then we'll see ..."
Mbappé, from Madrid: "I'll finish the year here and then we'll see ..."
"I feel very good here, but in football and the future you never know," said the PSG forward, with a contract with the French club until 2022. 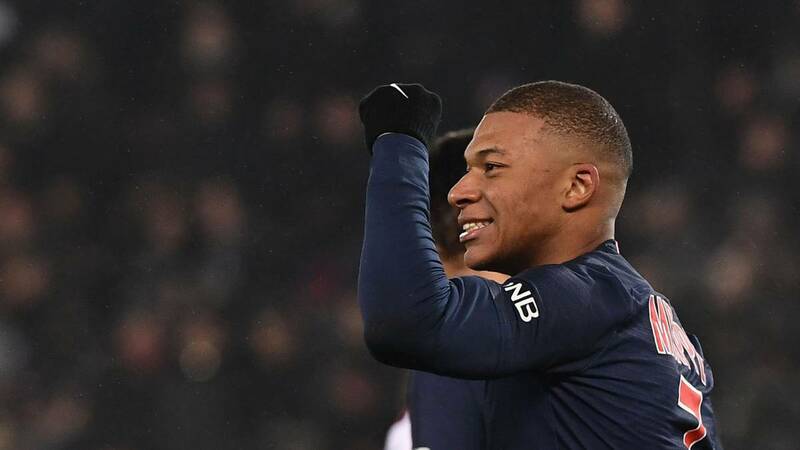 Kylian Mbappé (20 years old) showed up again this Saturday. The PSG striker made a hat-trick in the rout (9-0) against Guingamp and was a protagonist in the mixed zone. With a contract with PSG until 2022, Mbappé left the door open for a future signing for Madrid. Futuro: "I am very happy with my present at Paris Saint Germain, I have a contract until 2021 or 2022 and it is not the time to think of something else. " Does it make you feel like going to a club like Real Madrid? " I feel very good here, but in football and in the future you never know, I am sure that I am going to finish the year here and then we'll see. " Golden against Guingamp: " We played a great game, winning with authority and determination, having spent a few days together has helped the group a lot, I'm worried about Marco's injury (Verratti) because of the importance he has in the team, he is an indispensable player, I hope he returns as soon as possible ". Fichajes:" We all know that we need a reinforcement, there are people who work for it, we played a full game, with rhythm and intensity. At the moment of truth, we have a different state of mind. "